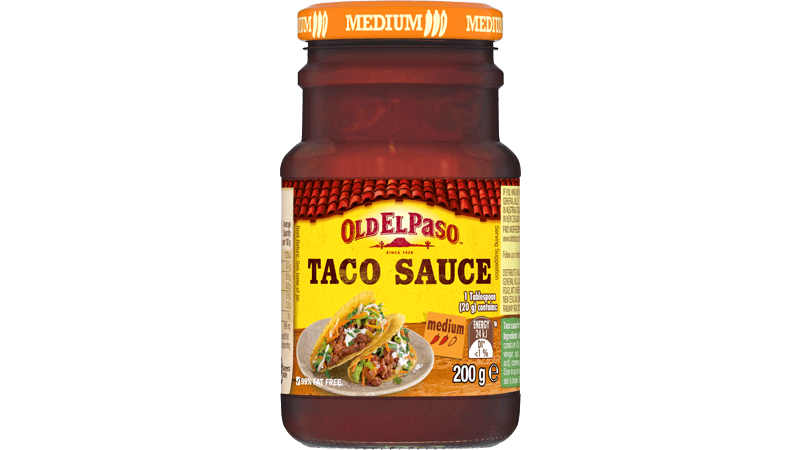 This vegetarian recipe from Old El Paso™ makes 10 Tacos using our Stand ‘n Stuff™ Taco Kit and Taco Sauce. It’s a Mexican delight for lunch or dinner – just add fresh ingredients like eggplant, chickpeas and crumbled feta cheese. Heat a little olive oil in a large frying pan and cook onion over medium heat until soft. Add sweet potato, eggplant and Taco Spice Mix, cook for a further 10 minutes, stirring occasionally. Add chickpeas, tomato and water and simmer for 3 minutes or until sauce thickens and sweet potato is tender. Stir through coriander. 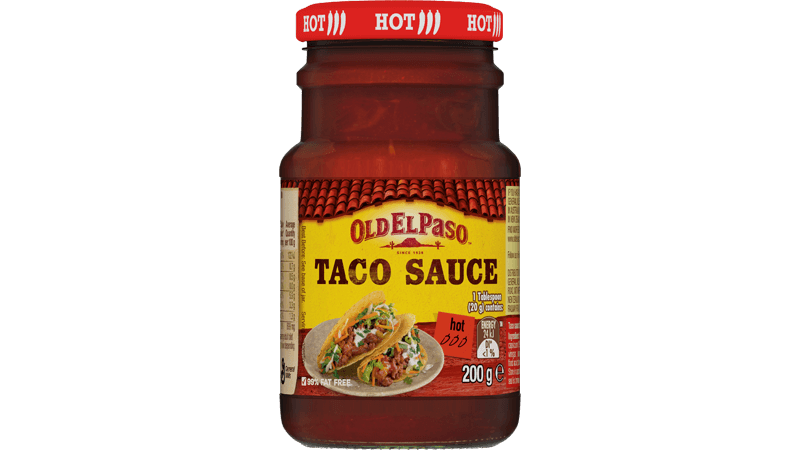 For deliciously crunchy Taco shells, follow on pack instructions. 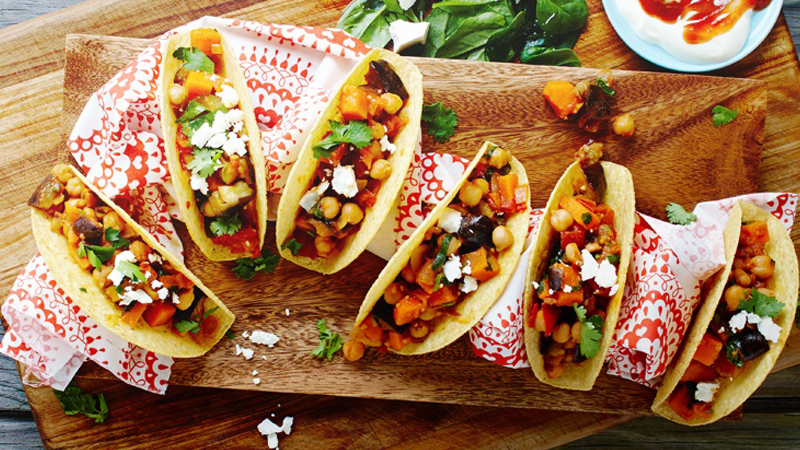 Build your own taco with crunchy Tacos, baby spinach, sweet potato and eggplant stew and feta. 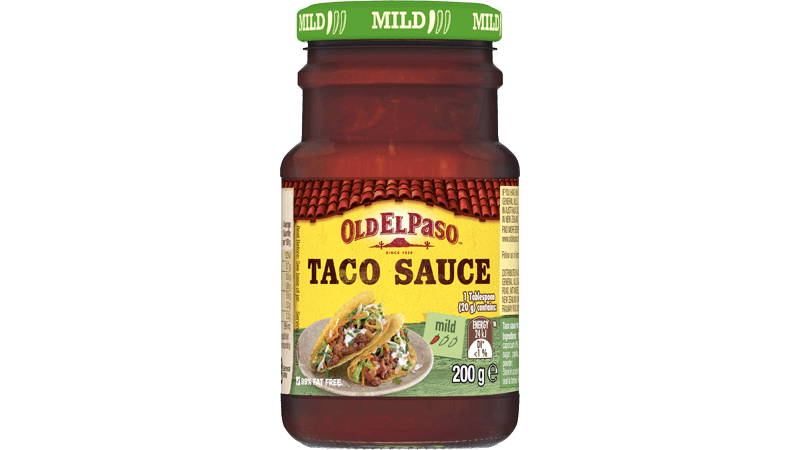 Swirl Taco sauce through sour cream in a small bowl and serve to the table to top off your taco!